Start the day off with an Easter Bunny breakfast. Enjoy pancakes and make a craft to take home! 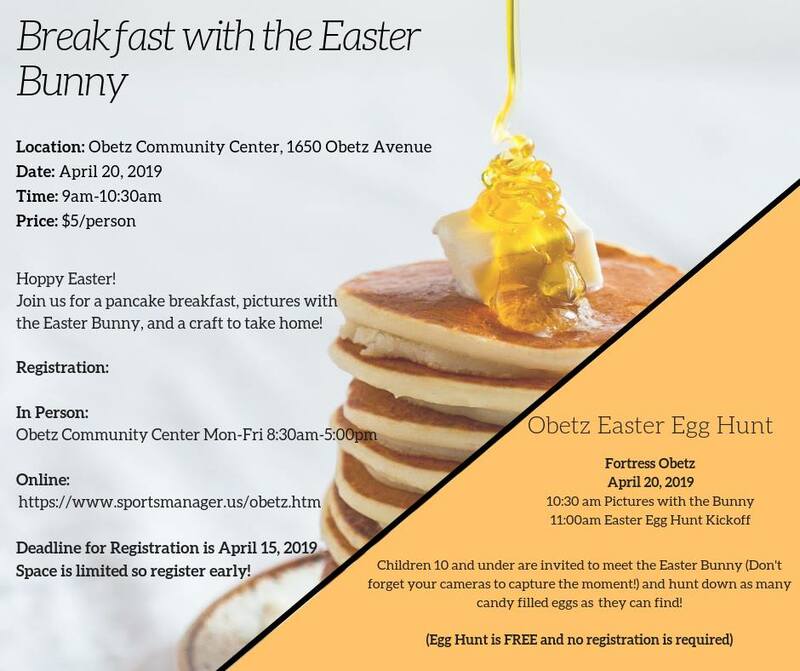 The breakfast will be held at the Obetz Community Center from 9:00 AM – 10:30 AM. Registration is required for breakfast. Next, hop with us to Fortress Obetz for the Annual Easter Egg Hunt! The Egg Hunt is for children who are 10 years of age or younger and will begin promptly at 11:00 AM. Registration is NOT required for the Easter Egg Hunt.